Taking a little extra time to properly make the triple check of rosters, the scoresheet and lineups prior to the start of a match and each subsequent set can prevent needless delays. Has this ever happened to you? Three serves into the first set the scorer informs the second referee, “wrong server.” There have been no substitutions and you know the players rotated properly. How can there be a wrong server? Valuable time is taken only to discover that the scorer recorded the lineup incorrectly on the scoresheet, the second referee did not properly check lineups, the players were not in proper order, the wrong player is on the court, a player changed numbers, or the coach wrote the wrong number on the lineup, etc. The rhythm of play is broken, people take notice and the referees have egg on their face. 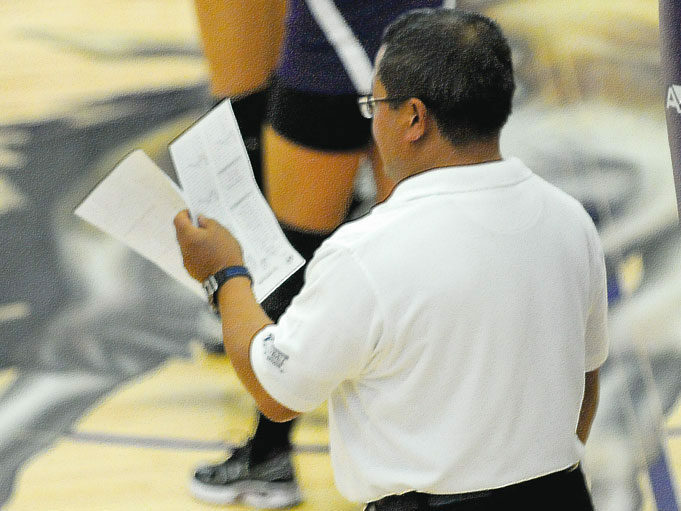 A match under USAV and NFHS rules requires coaches to submit rosters at least 10 minutes prior to the end of timed warmups. The referees should be proactive in obtaining each team’s roster prior to the submission deadline. The rosters can be used to verify the correct number of players are listed (NFHS only) and coaches are listed (USAV only). It is recommended the rosters are given to the second referee during the prematch conference. 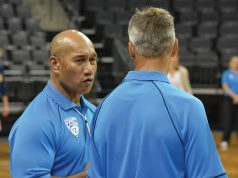 Under USAV rules (4.1 team composition), that is a great time to verify correct number of players are listed, whether each team is playing with a libero(s), coaches are listed, and if the coach and/or playing captain signed the roster, depending upon the level being played.